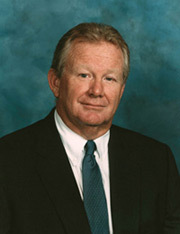 Paul G. Preston has more than 30 years of extensive litigation experience representing corporations, partnerships, individuals and insurance companies in cases involving long-term care, medical malpractice, general maritime, products liability, environmental matters, class actions and defense of false claim suits. In addition to providing front line litigation services as lead counsel in civil matters, Preston works with corporate counsel and law firms throughout the country to assist with case strategy, risk management analysis, review of litigation exposure in conjunction with mergers and acquisitions, settlement negotiations and trials. He has conducted extensive mock trials and jury analysis for high exposure litigation and has developed litigation strategy in matters ranging from individual cases to nationwide claims involving millions of dollars. He has negotiated large exposure matters with the United States Government, insurance carriers and plaintiffs' counsel and has served as lead counsel in high profile and complex litigation. Preston's accomplishments include obtaining zero verdicts for defendants in products liability, maritime, healthcare and other general casualty matters; representing long-term care, pharmaceutical and rehabilitation companies in large exposure False Claims Act matters; successfully preventing class certification in class action matters around the country; operating as lead counsel in Hurricane Katrina litigation involving allegations of euthanasia and attracting international media exposure; negotiation of settlements in high exposure/high profile matters throughout the United States and winning jury trials for clients ranging from Fortune 500 companies to individual plaintiffs. Prior to starting Preston Law, he was founder and managing partner of a firm with offices in Louisiana, Texas and Florida with more than 30 attorneys. Before that, Preston worked for 20 years at a litigation firm where he was the youngest partner in the firm's history and the youngest member of that firm's management committee. Preston has spoken at seminars for attorneys and healthcare professionals in the United States and England on a broad range of subjects including long-term care, medical malpractice, insurance issues, maritime law and closed head injuries. Preston is a graduate of Louisiana State University Law School (J.D. 1978), and served on the Louisiana Law Review. He is a member of the State Bars of Louisiana (1978) and Texas (1993) and has litigated before federal courts in several states and the United States 5th Circuit Court of Appeal. He is also admitted to practice in federal district courts in Louisiana and Texas, the United States Court of Claims and the United States Supreme Court.